This took a lot longer to photoshop than I’d like to admit. 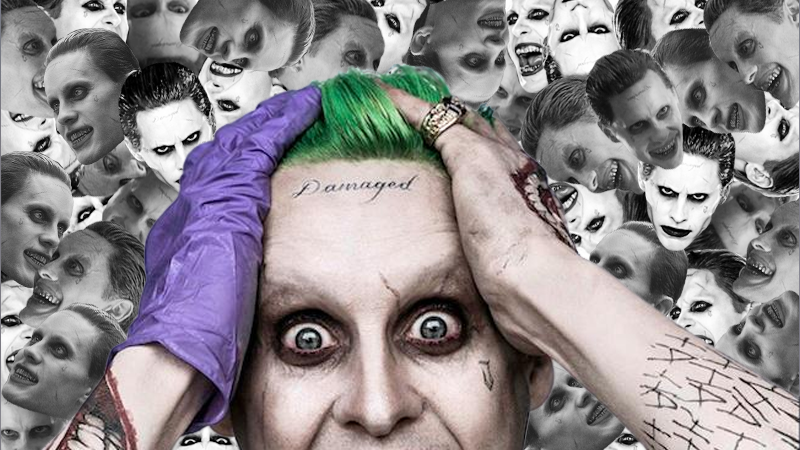 Image: Collage by James Whitbrook, Photo: Warner Bros.
On Tuesday night, news broke that Warner Bros. was giving Jared Leto’s damaged incarnation of the Joker his own spinoff. Which would be all well and good—some fans, and even Leto himself, were disgruntled at how little he appeared in Suicide Squad—if... well, there weren’t already a smörgåsbord of other movies starring multiple Jokers in the works at the studio. Over the last year or so, among announcements of everything from film adaptations of DC Comics’ New Gods to Blackhawks, we’ve heard about four different projects that would be anchored around Batman’s most infamous foil. Trying to recall the various states of “actually happening” these movies are in is already confusing—adding a new one is bound to make things even worse. So here’s what we know (so far) about each of Warner Bros.’ Joker-related projects. At least some of these characters will return... right? Formally announced at San Diego Comic-Con last year, Squad 2 has been heavily rumored to feature Leto’s Joker from the get-go. While we know the project’s still happening, Warner Bros. struggled to nail down a director to follow up David Ayer’s first film: At first, Mel Gibson was apparently being considered, only for The Shallows’ Jaume Collet-Serra to emerge as a front-runner... and promptly go direct Disney’s Jungle Cruise movie, making himself unavailable. He was replaced by the current director, Gavin O’Connor. The movie was due to start filming later this year for a potential release in late 2019, but apparently Warner Bros.’ excitement over the script for the Harley-Quinn-centric Birds of Prey film has lead to production allegedly being pushed out of 2018, so it might be a while before we get the, err, exciting opportunity to skwad up again. The Joker before he became the Joker in flashbacks from The Killing Joke. The first thing to know about this apparent Joker origin movie is that it doesn’t star Leto’s version of the character—in fact, as far as we know, it’s completely unrelated to any current part of the DC movie continuity. The movie, directed and co-written by Todd Phillips (joined by 8 Miles Scott Silver on the script), is set in the 1980s and is rumored to portray the Joker as a failed comedian, in the vein of the origin story revealed in the infamous graphic novel The Killing Joke. It’s said to be so heavily inspired by the films of Martin Scorsese that the legendary director is actually attached to produce. Joaquin Phoenix is allegedly set to play the Joker in this film—but the star has been so obtusely vague about acknowledging that fact that we’re frankly unsure if he’s really involved or if the movie’s actually still happening. Harley and the Joker in less skwaddy times in a Suicide Squad flashback. Revealed literally the day after the Joker origin movie (and only recently rumored to be specifically dubbed Harley Quinn vs. The Joker), this movie will feature Margot Robbie and Jared Leto’s incarnations of Harley Quinn and the Joker, and will be written and directed by Crazy Stupid Love’s Glen Ficarra and John Requa. The film apparently ended up taking the place of David Ayer’s Gotham City Sirens adaptation, which would’ve featured Harley Quinn and other female villains, which is now currently being reworked. Of all the Joker-related movies this is actually the one we’ve heard the least about since its reveal, although both Robbie and Leto have expressed their own confusion about which movies they’re actually going to show up together for, so your guess is as good as ours. This one, like Squad 2, is also much further off in the distance, purportedly bumped so Warner Bros. could commence production on Birds of Prey first. Let’s put a smile on that, err... hand? And that brings us to this week, with Variety’s reveal that Leto will be getting his own Joker standalone. We know very little, given the freshness of it all—neither screenwriter nor director were attached to the news. 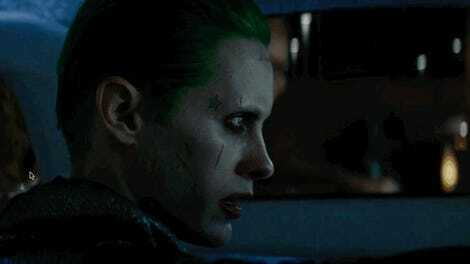 But we do know that Leto will star, and that the movie is designed to launch a platform for more Suicide Squad-themed spinoffs beyond just this Joker film or WB’s Birds of Prey plans for Harley. Please look forward to more nightmare stories about Jared Leto’s on-set method acting behavior. This doesn’t even begin to scratch the surface of Joker appearances in Warner Bros.’ ever-growing slate of DC movies. There’s always a chance the Joker appears in The Batman (although we’ve recently heard another major Bat-villain is possibly taking the lead), or the Harley Quinn-centric Birds of Prey. And given Harley’s Gotham City Sirens involvement, it would not be surprising to learn of the Joker’s participation in that film, too, if it ever actually progresses again after that re-work. It’s all too much in such a very specific corner of the DC universe, if we’re being honest. Right now, Warner Bros. is throwing ideas at a wall and hoping to see what sticks. Maybe it should cool off from the clown prince of crime and try chucking some other ideas at that wall for now. There are a lot of characters who could do well if given the opportunity.